Your documentation is well laid out and you explain your journey through the project well. Showing clear indications on what your aim and how you want to achieve it. I can see you’ve used both real life and media based research. which is key as real life research is most important when creating a scene like this so gather as much real reference as possible. 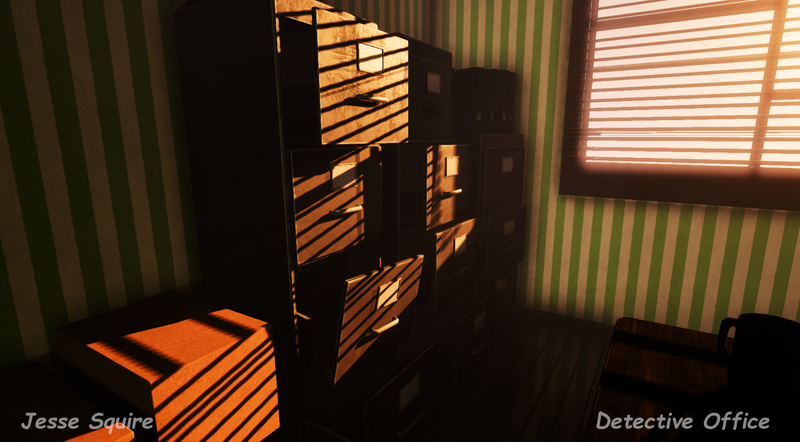 Media reference will have the creators own take on the object, however is nice to see for workflow purposes etc. Your assets are modelled to a high standard though I would suggest looking at your polycounts of some models. Examples would be the couch the cushions as super high for what they need to be with many loops not doing a lot to the form of the model. I would also agree that your desk is slightly to high however as its the main focal point of the room I understand the extra edge loops for detail. I would also be aware in future of the smoothing groups on objects. 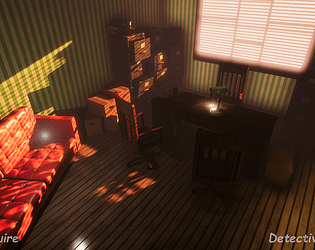 An example of this would be the couch in screenshot 6. You can see that in the bottom left corner the couch arm has some faces smoothed compared to the rest making them stick out, plus in my opinion I would of smoothed the top parts of the arm to blend in with the sides making it look like a whole piece. 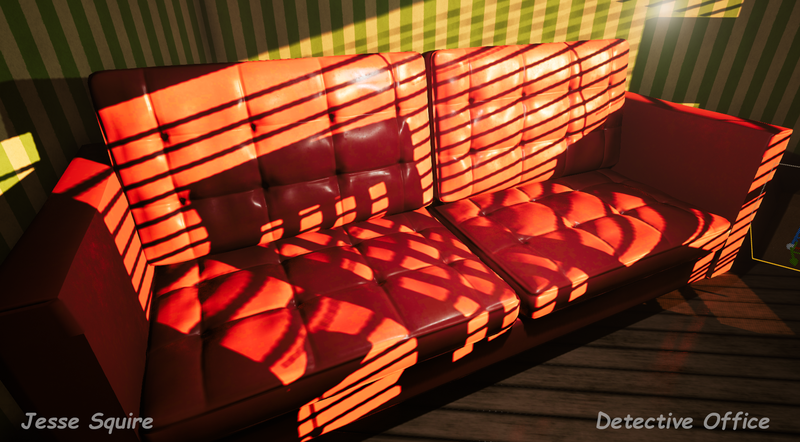 Your texturing skills are at a good industry standard with PBR textures techniques. 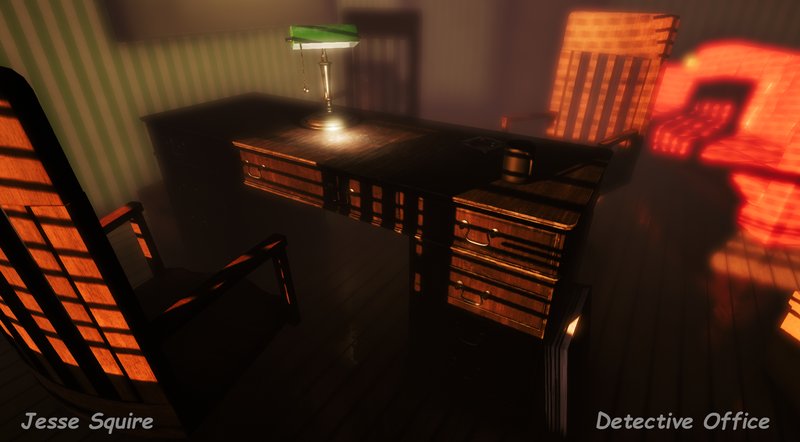 I really like the detail of the desk plus your UV layout for the object is well laid out utilising the space. Sadly though for the Banker light there’s a lot of unused spaced which could of been used. 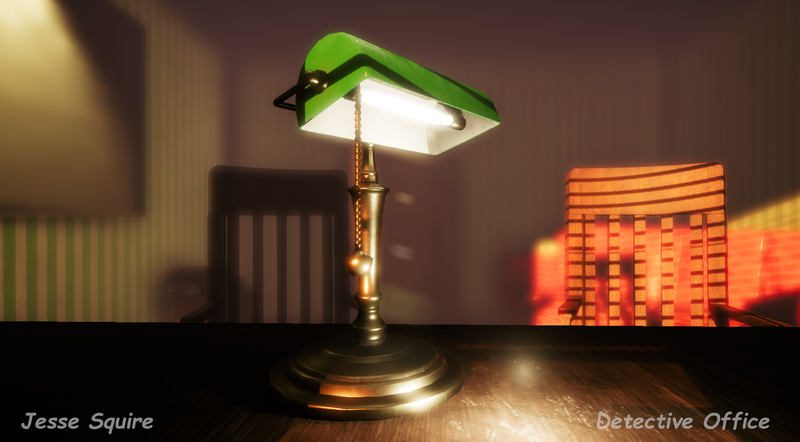 This could of been done by making the white part inside the lamp really small as its just a colour and doesn't need much texture space for detail, while having the metal part along the one of the edges and finally then green much bigger with the two end along the side for example. Substance Designer work is strong and as an outcome you have two really nice textures. 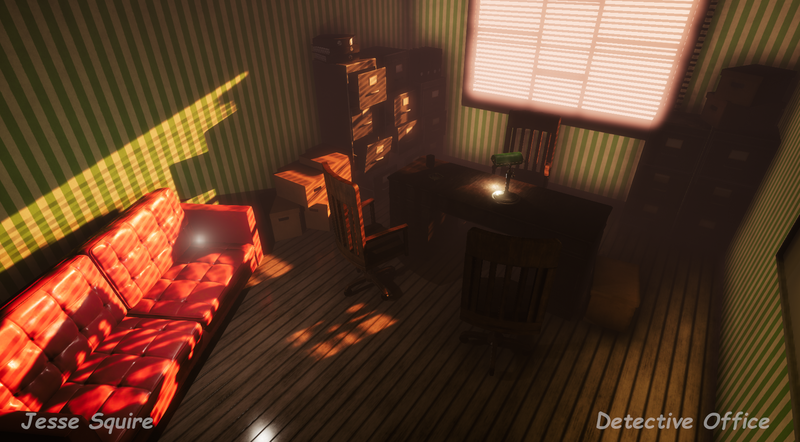 Overall the scene is well done you’ve achieved what you set out to do by creating a stunning environment with atmosphere and story . The lighting within the scene was a key role in the production to achieve this outcome and glad you spent the time working on the lighting aspect. Really like the feeling and mood you've aimed for. Some good execution across the board. The two areas I'd aim to improve 1. is the overall scene dressing, it feels a bit boring as a room, So before you put it in your portfolio add the set dressing that would make it more interesting and make it feel lived in, a notepad and pencils, a photo/painting etc And 2. the tiling textures on the wall and floor feel a bit weak, the deep shadows in the floor make the material feel wrong, the wallpaper contrasts a lot and doesn't fit great. You have decent assets but the lighting doesn't do them justice. 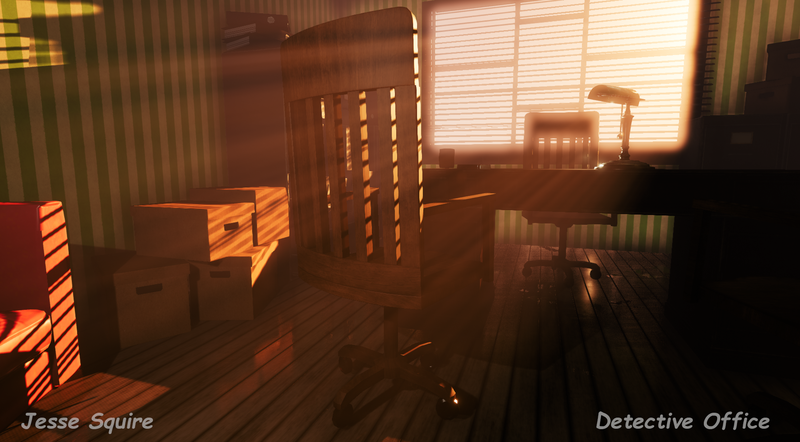 You also probably went a bit too far with some postproduction settings in Unreal Engine. It would have been nice to see a proper documentation. The core idea of this office is good though and should be pushed further.